Awww. you guys!! 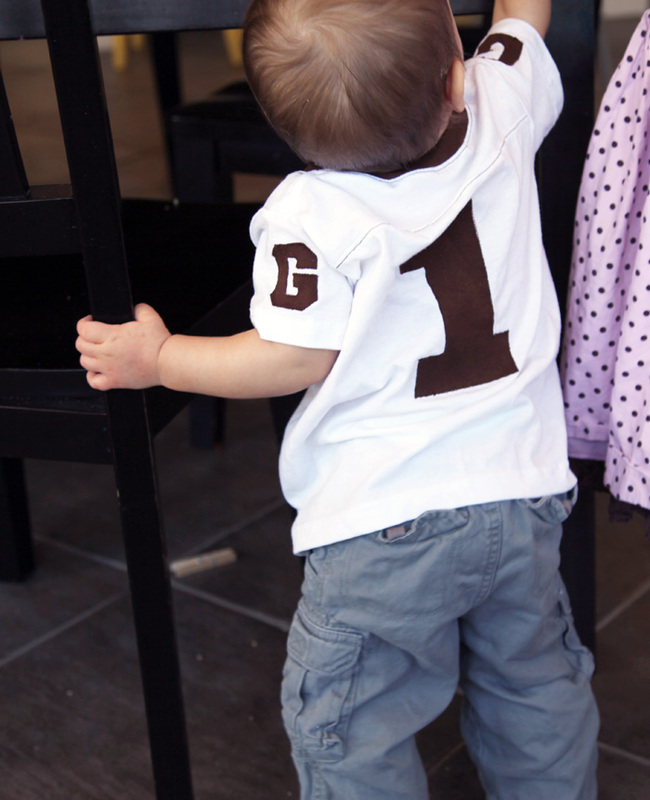 Look at baby Gordon rocking his mama-made football jersey at his first birthday party. Many of you have been asking for this post in time for football season and we are happy to announce that it is back! Make one and send us a pic! 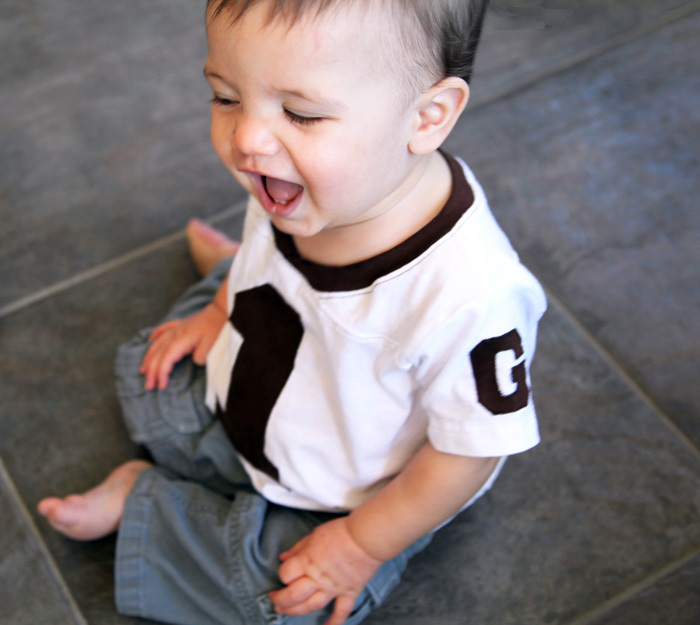 Click here for the full Football Jersey from a T-shirt Tutorial.